Narrow-gauge railways are railways or railroads where the distance between the two parallel rails is of 3 ft 6 in or less. The main reason for this type of railway, with a much lower radius of curvature, it allows railways in mountains, or any place were "normal" trains would need tunnels or bridges. 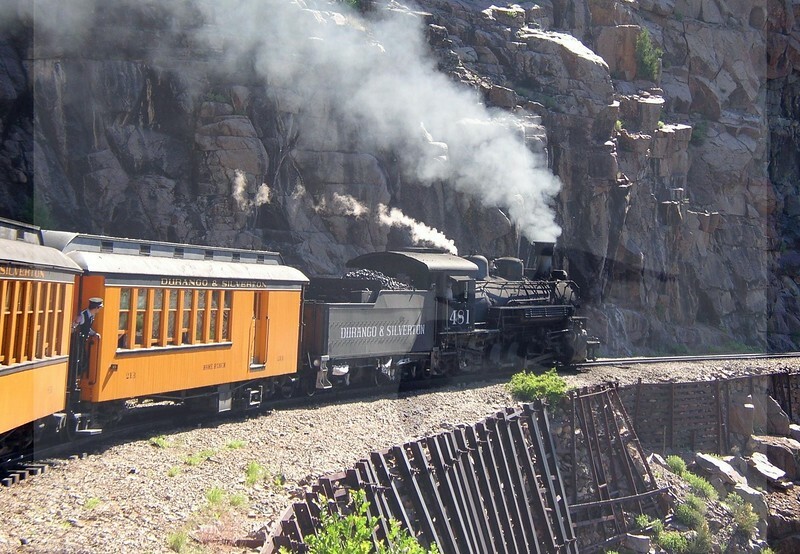 The historic Durango & Silverton Narrow Gauge has been in continuous operation for nearly 125 years, carrying passengers behind vintage steam locomotives on its way to Silverton from Durango, Colorado.